Montes spied on her own country for Castro, doing much damage, yet Obama may soon liberate her. The Obama administration is reportedly in secret negotiations with Cuba that would result in the release from federal prison of one of the most damaging American spies in U.S. history. Such an extraordinary gesture would be preposterous for many reasons. Ana Belén Montes, who is serving a 25-year sentence as part of a 2002 plea deal, was a U.S. Justice Department official with a top-secret security clearance when she was approached by Cuban intelligence agents in 1984. At the time the Cuban regime ran a pervasive spying program against the U.S., as it still does today, though then it often acted in conjunction with the Soviet Union. A devoted sympathizer of radical Latin American regimes, Ms. Montes quickly agreed to spy for Havana, thus beginning a 16-year-long betrayal of the U.S.
As prosecutors later showed, Ms. Montes took a secret trip to Cuba to meet with her new spymasters, then sought government positions with greater access to classified information that would be useful to the Castro regime. In 1985 she began working for the Defense Intelligence Agency, which specializes in military intelligence. Ms. Montes quickly rose through DIA ranks, eventually becoming the agency’s leading Cuba analyst. 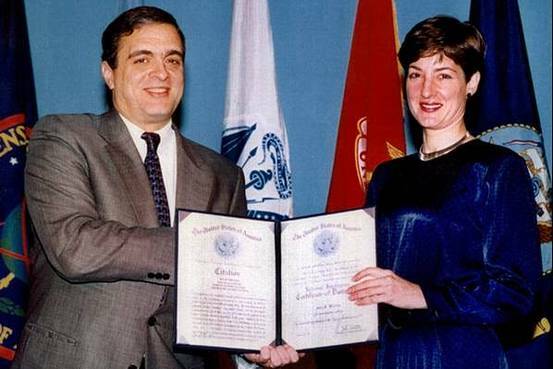 She was granted access to top-secret classified information that she would memorize at work and type up at home, later passing the information to her Cuban handlers. As I conveyed in a July 12 letter to President Obama, it is difficult to overstate the damage caused by Ms. Montes’s treachery. In May 2012, Michelle Van Cleave, the former head of U.S. counterintelligence who oversaw completion of the damage assessment on Ms. Montes, told Congress that her activities likely “contributed to the death and injury of American and pro-American forces in Latin America,” and that she compromised other, broader intelligence programs. Nevertheless, press reports indicate that the Obama administration is considering releasing Ms. Montes to the Castro regime as part of a prisoner swap for American fugitives from justice now sheltered in Cuba. Dear Chris….you and me knows how intelligence Services works..The interchange of Spies are part of their work.The problem is the value of the change.I do not believe they are going to change Ana Belen for a criminal. But in the future if the change deserve to come back a really spy that serve the United State such as “Roly” Sarrafat. let they to consider. Dear Chris…”it is what it is” Dr Jose Acosta Ex-DGI Officer. against our countries intelligence personnel. Coordinate intelligence operations between the island intelligence Cuban services and the communist spies in United States which I would not be surprised that by this time after the recent Cuban exodus will easily could mumber eigth hundred spies. Montes, like Chris Simmons have said belongs in Federal prison. This is a vivid effort by this administration to appease a dictator and to forget those who has fought against the communists but regardless of anything that happens.Long live the USA!!! !